Everyday essentials begin with great water. Water touches your life in so many ways. And you depend on water that’s clean and high quality for all of your household activities. Because when your water is more efficient, your household is more efficient. That adds up to money-savings for you and your family. Every feature of WaterCare® water treatment systems has been designed to provide better water for your home. And every system in our complete line of innovative water treatment products combines efficiency and flexibility to best satisfy your family’s needs. That’s how we make water good for life. Water Softening Systems reduce iron and other hard water contaminants. Click here to learn more about W.E.T. Water is essential for the survival of all known forms of life. Seventy-one percent of Earth's surface is made up of water, but only 1.6% of all of Earth's water is found below ground in aquifers. 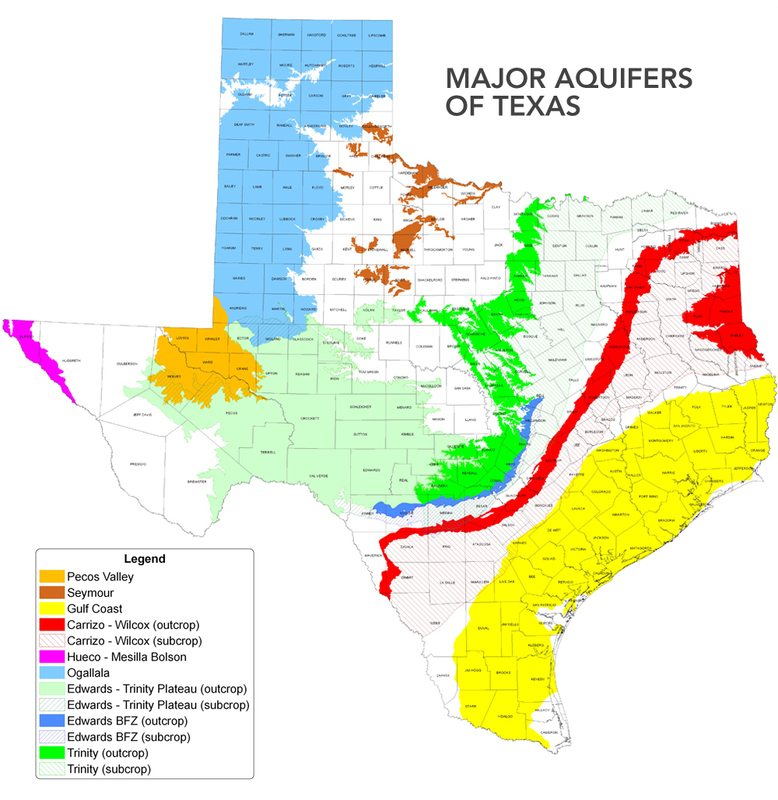 The State of Texas covers twenty-three aquifers which underlie approximately 75% of the state. Seven of these are considered to be major aquifers. The Ogallala Aquifer accounts for about ninety percent of the water in all the Texas aquifers and is the largest aquifer in North America, covering 174,000 square miles in eight different states (Texas, Oklahoma, Kansas, Nebraska, Colorado, South Dakota, and Wyoming). More than fourteen hectares of land are irrigated by the Ogallala, incorporating some of the most important agricultural land in the nation. The main aquifer system in Montague County, Texas, is the Trinity Aquifer, which extends in a 550-mile-long band from the Arkansas border with southeastern Oklahoma to south-central Texas. The Trinity Aquifer underlies an area of about 41,000 square miles, comprising of all or parts of sixty-eight counties in Texas and Oklahoma. The width of the Trinity Aquifer ranges from less than ten miles near its southern tip to about 170 miles in the central part of the state. Depths of wells completed in the Trinity Aquifer commonly range between 50 and 800 feet, but some well depths exceed 3,000 feet. Wells commonly yield from 50 to 500 gallons per minute, and some yield as much as 2,000 gallons per minute. The water is generally a hard, calcium bicarbonate type, and typically has concentrations of dissolved solids that range from 500 to 1,500 parts per million. Humans require water that does not contain too many impurities. Common impurities include metal salts and oxides (including copper, iron, calcium and lead), harmful bacteria or pollutants. Surface water must always be purified for safe human consumption. Often ground water will also require treatment to remove impurities. This may involve removal of undissolved substances, dissolved substances and harmful microbes.